Will Florida Become the New Mecca for National Merit Scholars? A few flagship universities–Oklahoma and Alabama, for example– are well-known for the generous merit scholarships, most of which provide the largest awards to national merit scholars or students with very similar qualifications. Now there are several other major players in this game, and all are in the state of Florida, home to several colleges on the rise in national rankings. In March, Gov. Rick Scott, who is often at odds with higher ed professionals, signed Senate Bill 4. The bill passed the senate with unanimous support in mid-January. 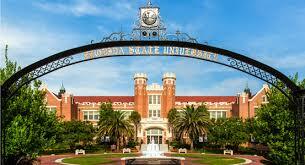 Florida State has risen from 101st in U.S. News rankings for 2011 to 81st in the 2018 rankings. The bill expands the full-ride Benacquisto Scholarship to include not only in-state National Merit and National Achievement Scholars but also out-of-state winners of these awards. The value of the award for in-state students at the University of Florida is $21,210 per year. For out-of-state students, it is $43,448 per year. Reinstates full funding of the Bright Futures Florida Academic Scholar award at 100 percent of tuition and fees, plus $300 in fall and spring semesters to cover instructional materials and other costs, beginning in this 2017-2018 academic year and guarantees funding for 2018 summer term tuition and fees for Bright Futures Florida Academic Scholar awards. New provisions of the legislation this year reinstate funding for the Bright Futures Florida Medallion Scholar award at 75 percent of tuition and fees for fall and spring semesters, beginning in fall semester of the 2018-2019 academic year and guarantee funding for 2019 summer term tuition and fees for Bright Futures Florida Medallion Scholar awards. Expands Benacquisto Scholarship awards (full cost of attendance) to recruit out-of-state National Merit Scholar award winners. “Senate Bill 4 ensures universities remain accountable to Florida taxpayers by refining university performance expectations to incentivize and reward state university performance excellence and recognition in academics, instruction, research, and community accomplishments and achievements,” according to a press release from the Florida senate. Florida lawmakers have also designated “preeminent” and “emerging preeminent” universities. These universities must meet targets for graduation, retention, and post-graduation employment. Florida and Florida State were the first preeminent universities, and the University of South Florida has now moved from emerging preeminent to preeminent. The University of Central Florida will be next. The extra funds are used to elevate the quality and recognition of the universities by hiring eminent faculty members, improving grad and retention rates, and funding STEM programs. The University of Florida, for example, has risen from 58th in the 2011 U.S. News rankings to 42nd in the 2018 rankings. Florida State, meanwhile, has moved from 101st to 81st in the same time frame.